On Wednesday 6 September 2017, Le Va held the last of its regional GPS Satellite Seminars in Wellington, at Te Papa. This seminar was different from the previous two GPS seminars, as it was co-facilitated with Drua, our national Pasifika addiction network, preceding the Cutting-Edge Addictions conference. The regional satellite seminars were born out of feedback to Le Va in 2016, where people asked for local/regional seminars in addition to the large national conference. Co-facilitated with Drua, and as a lead in to Cutting Edge, it was referred to by many participants as “The best Drua seminar ever”. The fono started with an Ava ceremony, led by Matua Levao. The Ava ceremony was a fantastic and safe introduction to the richness of our Pasifika traditions for both New Zealand born Pasifika and non-Pasifika people. Furthermore, it was an apt way, to pay tribute to our special dignitaries; Justice Mata Keli Tuatagaloa, from the Samoan Supreme Court, and Matafanua Hilda Fa’asalele, Chief Advisor Pacific Health for the Ministry of Health. Our first speaker was Le Va’s Senior Quality Manager, Abba Fidow, who gave the background of the regional GPS seminars and an overview of Le Va’s work. Matafanua highlighted the importance of having a situational awareness of the higher-level plan for Pasifika well-being and suicide prevention. Matafanua reinforced that, due to the complex nature of suicide, we need to work across sectors. Claire Aitken, DAPAANZ Chair, gave us a useful picture of DAPAANZ and how it fits with the future pathway for Pasifika addictions work. Phil Siataga, a veteran of Drua and Pasifika addiction workforce, spoke of kindness, compassion and hope, and the importance of those values to our work as clinicians and health professionals. Anthony Carter, General Manager of Consultancy Advocacy and Research Trust (CART), offered a different picture, in their role as signposts to organisations on policy and service delivery. Saveatama Eroni Clarke exhibited Tu Tonu; a Pasifika case formulation tool. He provided the background, feedback, and future utility for Pasifika. The seminar ended with Leilani Clarke explaining FLO: Pasifika For Life and the philosophy. This was a perfect lead in to introducing Le Va’s new national suicide prevention training programme; LifeKeepers. It is no coincidence that Le Va and Drua collaborated to deliver a programme focused on both addictions and suicide prevention. This is indicative of the key message that resonates within the three regional GPS: #CollaborACTION; Where networking transcends above the meeting and Talanoa; and progresses Pasifika change to outcomes and deliverables. 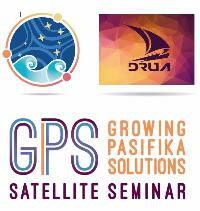 A special acknowledgement to the Le Tautua alumni that co-designed our inaugural 2017 GPS satellite seminars. This provided a strong local flavour to the GPS events, ensuring we are meeting local workforce needs. We would also like to acknowledge Matafanua Hilda Fa’asalele, who takes the prize for most consistent attendance to all GPS events! Also thanks to Le Tautua Alumni Phil Siataga for his stalwart support and involvement in planning for both Christchurch and Wellington, Josiah and PYLAT for their support in Christchurch, and Fa’afetai tele to the Drua council. There are countless others that deserve our gratitude, but most of all the participants who contributed their time to attend.